The Artisans Fair has a proud history of being Northlands premium Arts & Crafts market. Here both to encourage and support creativity in Northland's thriving & hugely talented Arts, Craft & Gourmet Food Community. The market runs every Saturday from Labour Weekend through to the end of January and then fortnightly until Easter Weekend. 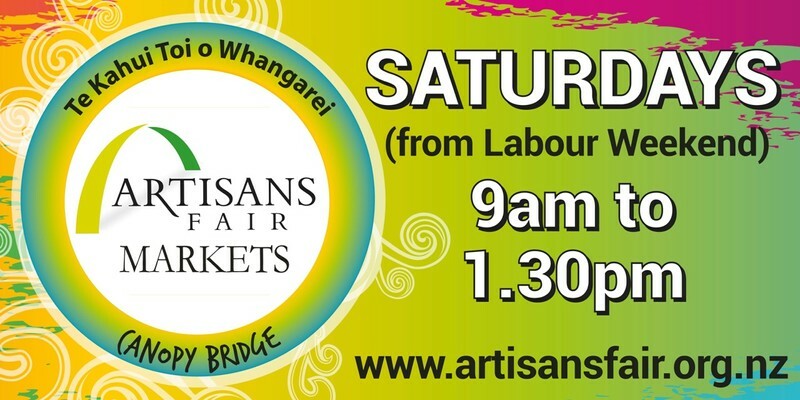 Held on the Canopy Bridge, part of the very popular Loop walk, overlooking the picturesque Whangarei Town Basin, this is the ideal venue to showcase all the amazing artisan talent found in Northland - a destination popular with both locals & tourists. This is a must see for anyone visiting Whangarei - the quality of the products is amazing. A fantastic way to spend a Saturday morning. Email - Jodie@multiskill.co.nz or Phone - 09 438 6199 or 021 923 077.